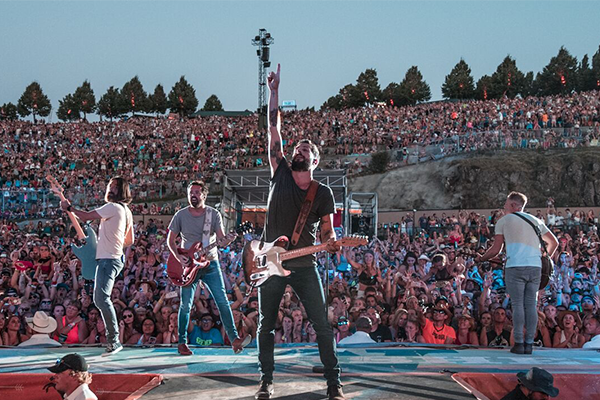 Old Dominion has SOLD OUT their May 3rd show in Nashville at Ascend Amphitheater in … Continue reading OLD DOMINION SELL OUT NASHVILLE’S ASCEND AMPHITHEATER IN ONE DAY! 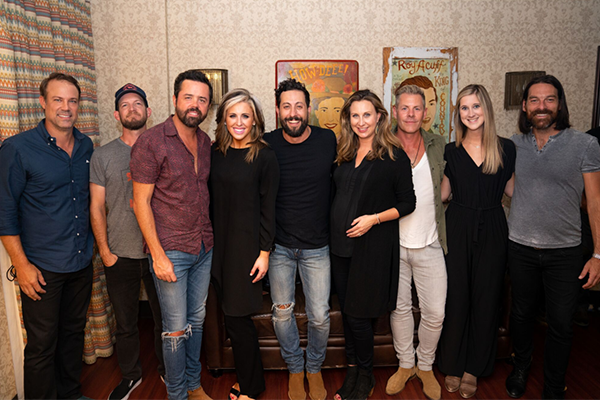 Old Dominion kicked off their “Make It Sweet Tour” with a sold out show at … Continue reading OLD DOMINION KICKS OFF “MAKE IT SWEET TOUR,” NEW SONG “ONE MAN BAND” OUT NOW! 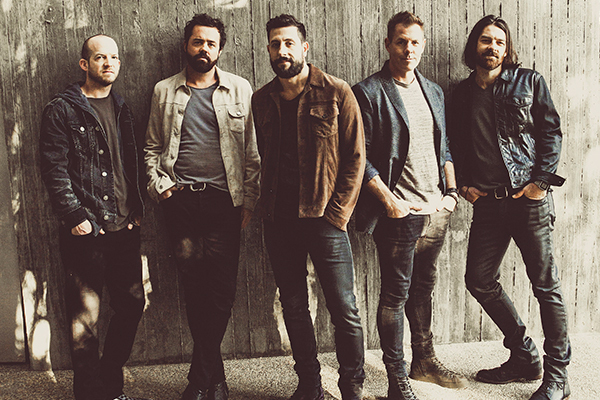 Old Dominion are very excited to share a brand new single and to announce their … Continue reading New Single And Arena Tour: “Make It Sweet”! 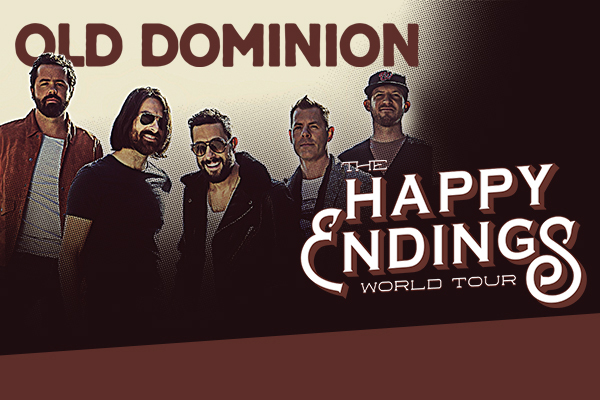 Old Dominion is expanding its Happy Endings World Tour, adding 13 dates to an already … Continue reading Old Dominion Expanding ‘Happy Endings’ Tour! 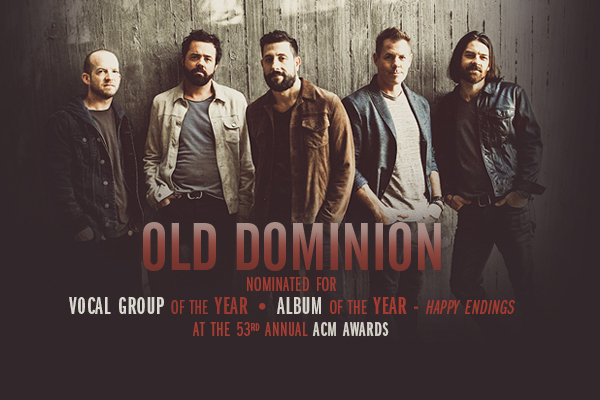 Old Dominion Named ACM Vocal Group of the Year! 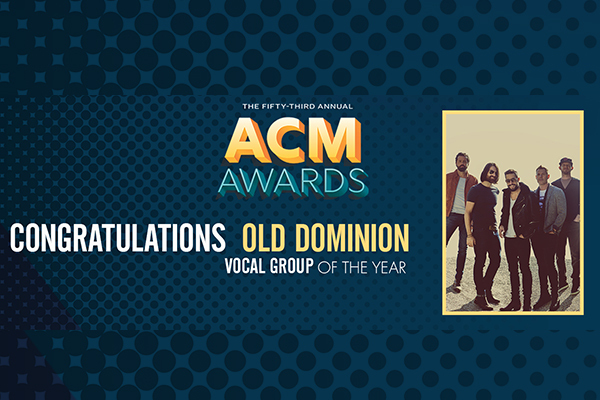 Congratulations to OD who brought home the ACM Award for Vocal Group of the Year … Continue reading Old Dominion Named ACM Vocal Group of the Year! © Copyright 2019 Sony Music Entertainment. All Rights Reserved.